As the clock strikes 4 pm, street food lovers in and around Sindhi Colony gather at Chachaji Wadapav — a boxy kiosk that knocks up ooey gooey buttery snacks. We cannot quite complain about Sindhi Colony when it comes to its food scene. Dragging people from Hyderabad to Secunderabad is Chachaji who sells super hot and buttery wada pav and dabeli. 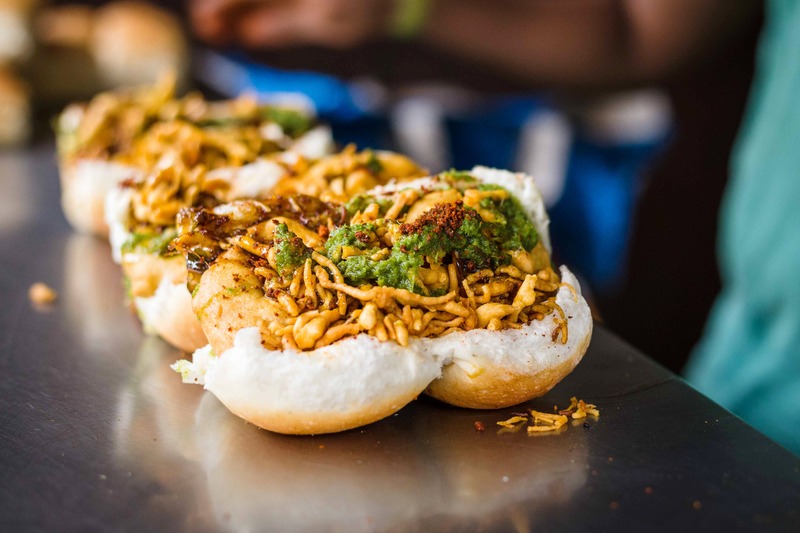 While people often go here for the wada pav, what we really love and go back time and again to devour is dabeli, a Gujarati dish where masala potatoes, sev, and pomegranate are generously stuffed between two masala pavs. These are served with chili, onions, and homemade tomato chutney which makes the dish sweet yet tangy. These buttery delights will make you queue up at the kiosk and eat on the go, but if you're someone who doesn't enjoy eating on the streets, pack them for your chai sessions at home. Found yourself in and around Sindhi Colony on an evening? Go here for a snack! More consistency in the taste, perhaps? Food too spicy for you? Cross the street for a smoking cold kulfi at Prachi's Kulfi Celebration. We love the Gulkand Special, Fig & Almond.